Built between 1919 and 1923, Granot Loma is said to be the largest log cabin in the world. 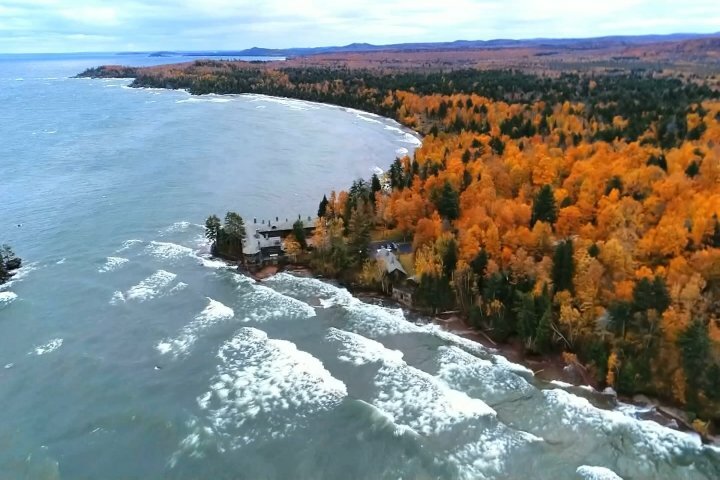 With over a mile of Lake Superior shoreline, this 26,000 square-foot cabin has 23 rooms, 13 bathrooms and hundreds of acres. And if you’re interested, it could be yours for $20 million! Chief photojournalist Corey Adkins was invited to fly his drone around the property. He takes us there for this week’s Northern Michigan from Above.